The soft colours of light blue and white form geometric jewel-like shapes when combined to create a vibrant and modern design based on traditional Indian tile art. 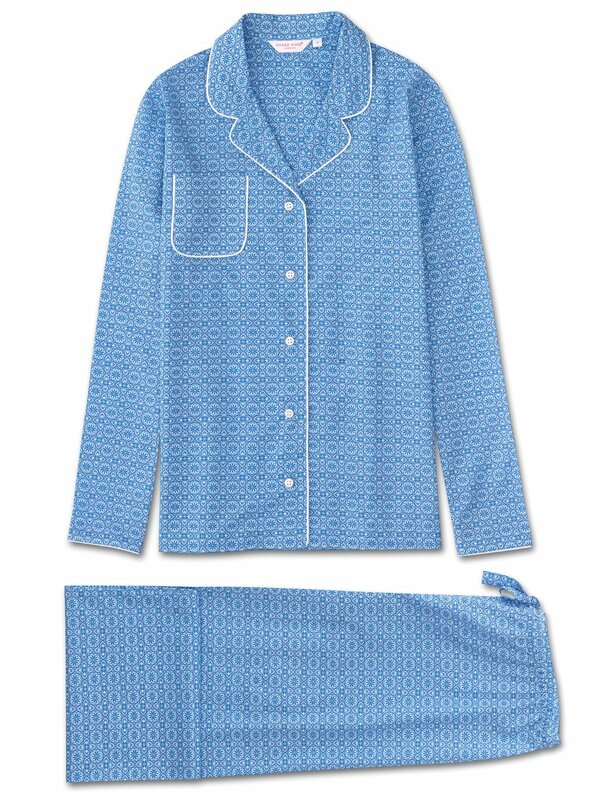 Ideal for warmer conditions, our Ledbury 5 pyjamas are destined for stylish off-duty wear. Made from our signature cotton batiste, the Ledbury 5 jacket features a fully piped finish in a white trim, a single patch pocket and mother of pearl buttons. The quality of craftsmanship continues with the trousers and their elasticated waist with self fabric drawstrings for added comfort.